Today it’s easy to see this phenomenon repeated all over the world as the power of social media continues to rise. 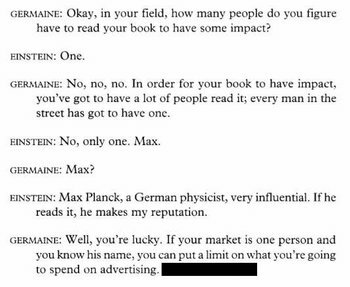 Finding your Max Planck has become vital to giving a brand or initiative added credibility in a world where people are increasingly distrustful of media, marketing and advertising. Celebrity spokespeople are not always the answer, as I have written about before. Kevin Dugan shared a great perspective coming out of the h on the importance for brands to connect with passionate users. Indeed passionate users are really driving marketing campaigns to success online, from Kevin’s examples of Target and Ikea to others like Snakes on a blog or Moleskinerie. In each of these examples, the real voice of individual bloggers is having widespread results, from (possibly) enticing Ikea to open a new store, to ensuring a B-movie with a silly plot will have a big opening weekend at the box office. 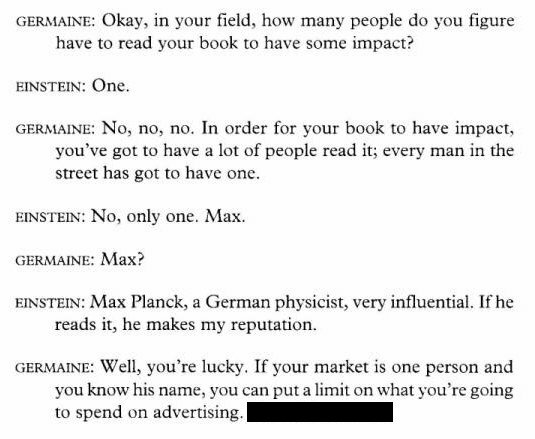 This is more than a spokesperson strategy. This is entrusting your brand reputation, in many cases, to a customer with a genuine passion for your brand and the authenticity only a real person can have. If you can get past the obvious danger in relinquishing control to an "outsider" … this has the potential to bring a whole new level of honesty to discussion about your brand. Birdie Jaworski is an Avon Lady with an influential blog who doesn’t necessarily stick to the agreeing with marketing when it comes to reviewing products. Robert Scoble’s popularity, in part, rose from his willingness to disagree openly with Bill Gates. All of which proves that when it comes to finding spokespeople, compliance may be less important than passion. Smart marketers will focus on finding this passion and do what is needed to help amplify it. In many cases, it is just to step aside and let it happen.